Smoothies are a weekend staple in my home. Suitable as a fresh foil to January’s endless roasts and soups, they also make a perfect interlude on a warm summer afternoon. Quick to prepare, refreshing and satisfying, smoothies are like soup – you can toss in the kitchen sink and culinary odds and ends find new life. My kids loved the sweeter smoothies (Pitaya Power, Almond Butter Cookie, Sweet Potato Pie) while the adults preferred the more savory versions (Iron Giant and A Taste of the Tropics). And that handful of leftover spinach or chunk of tofu or wedge of potato, ended up eaten, instead of tossed. Bonus! 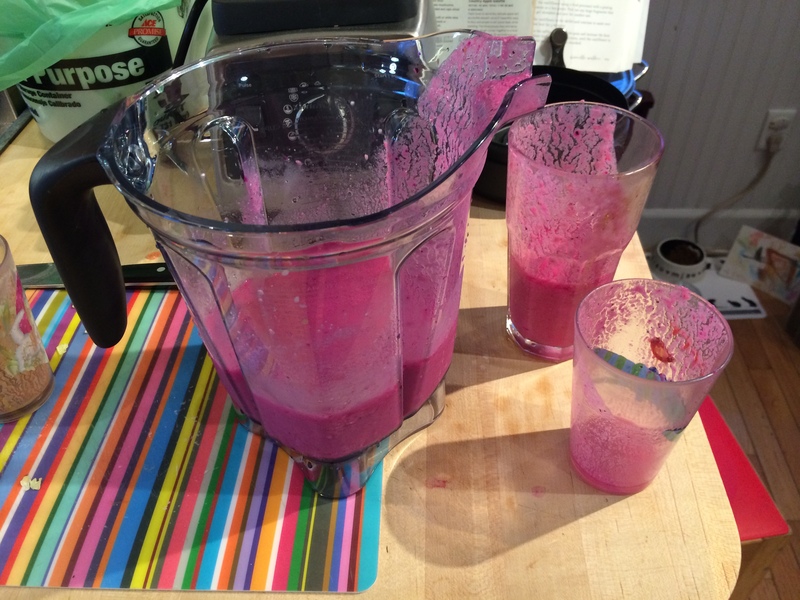 For this go-round, I worked with a few new ingredients: Pitaya (also known as dragonfruit), Älsa, a premiuim energy drink mix, and Moringa, a leafy green vegetable more nutritious than kale. Here are the results. Directions: add to the blender in the order listed, then whirl until smooth. Serves two adults. Dragonfruit is high in magnesium, fiber and antioxidants. Piataya Plus sells smoothie-sized 4-packs (3.5 ounces each) that are the perfect size for small-batch blending. Älsa, a delicately flavored drink mix, reimagines the energy drink concept; add to water for instant hydration and energy. 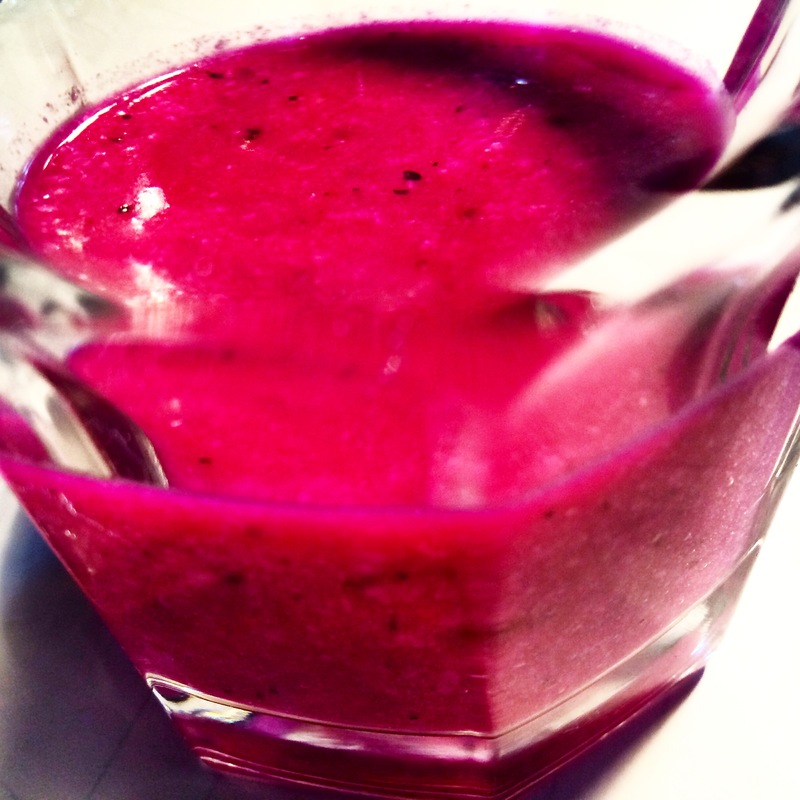 In this smoothie, Älsa adds depth to this fruit-centric pick-me-up. Both Moringa and spinach are packed with iron. 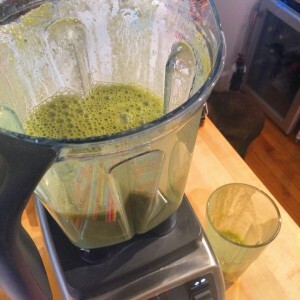 If the taste of this smoothie is too strong, or your body needs a bit less iron, leave out the spinach. 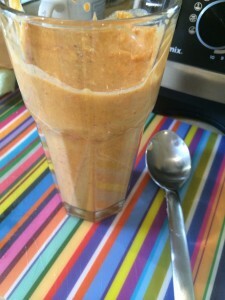 This not too sweet smoothie can be made the night before and enjoyed at breakfast. It will keep you full all morning. This sweet, thick shake is a gluten-free riff on the classic peanut butter cookie: salty, sweet and chewy. Leftover coconut manna from a cake project I worked on this autumn found its way into this dessert-inspired, very refreshing drink. As in sweet potato pie, leftover sweet potato – with skin! – adds beautiful creaminess to smoothies.